Mastering the public transport in big cities can be tough, especially when you’re not prepared. 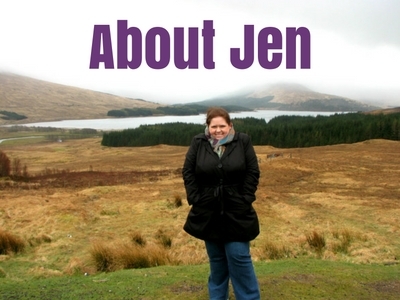 But with my Getting Around Guides, I can guarantee that you’ll be getting around like a local in no time at all. Berlin is a sprawling city in the north of Germany that takes up an area of nearly 900 km². It is split up into six distinct areas, each with it’s own central hub of restaurants, bars and attractions. While each area is a great for exploring on foot, visitors will need to use the city’s excellent public transport system to get between these areas. While it is a very easy to navigate the city with signage in both German and English, there are a few things about each mode of transport that might confuse some visitors and other things that are not as well known to visitors that will help them navigate this massive city. This getting around Berlin guide aims to help you hit the ground running when you arrive and help you maximise your enjoyment of this interesting and exciting city. Things are changing in Berlin. During the Cold War the city was divided into two, and with that came two different sets of infrastructure. Since the Wall came down the city has struggled to find a way to integrate their infrastructure leaving two airports when really there could just be one. It is expected that in 2015 a new airport, Berlin Brandenburg Airport, will open near Schoenefeld Airport which will mean the closure of the city’s northern airport, Tegal. The information in this Getting Around Berlin Guide is current as at October 2014 and will be updated when the opening and closure of the new and old airport happens. Rumors are that it is still a possibility that Berlin Brandenburg will not be open for a number of years. Tegal is currently the main airport servicing Berlin and is located 8 km to the north west of the city. 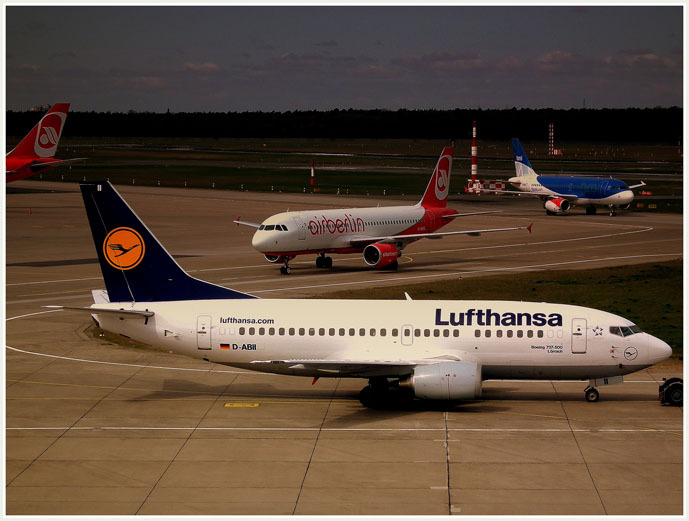 The airport is used by a lot of the world’s major carriers and is also a hub for domestic flights for full service airlines such as Lufthansa and Air Berlin. Tegal airport is well connected to bus services to and from the city centre. There are four bus stops outside of Terminals A and B which will take you into the city centre in up to 40 minutes depending on traffic and the number of stops. TXL JetExpressBus – Stops at Alexanderplatz, Brandenburger Tor, Hautpbahnhof and Beusselstrasse. X9 JetExpressBus – Stion at Zoologischer Garten and Jungferheide. 128 Bus – Stops at Osloer Strasse, Franz-Neumann-Platz and Shumacher Platz. 109 Bus – Stops at Zoologischer Garten, Jungferheide and Jakob-Kaiser-Platz. Most of the stops mentioned above are also U & S Bahn stations which means you can easily connect to the city’s underground and overground train network to basically get you anywhere you want. All of the above buses operate about every 10 minutes with tickets costing €2.60 for a one way adult fare from Zone B, where Tegal is located, to Zone 1, the city centre. NOTE: There is a train station called Tegal on the S-Bahn. This station is not connected to or easily accessed from the airport and it is not advised to use this mode of transport to get to or from Tegal. Taxis can be found outside of Terminal A, C & E and will cost upwards of €30.00. Schonefeld Aiport is located 18 km south west of the city and is serviced by mostly low cost airlines such as easyJet, Germanwings and Ryanair plus a few major carriers. The airport is serviced by the S-Bahn and regional trains with the station located just a few minutes walk via an undercover walkway from Terminal A/B. If you can, try to take a regional train rather than the S-Bahn as regional trains make less stops making your journey time shorter. Regional trains run approximately three times per hour and take about 30 minutes to get to Hauptbahnhof in the centre of the city. 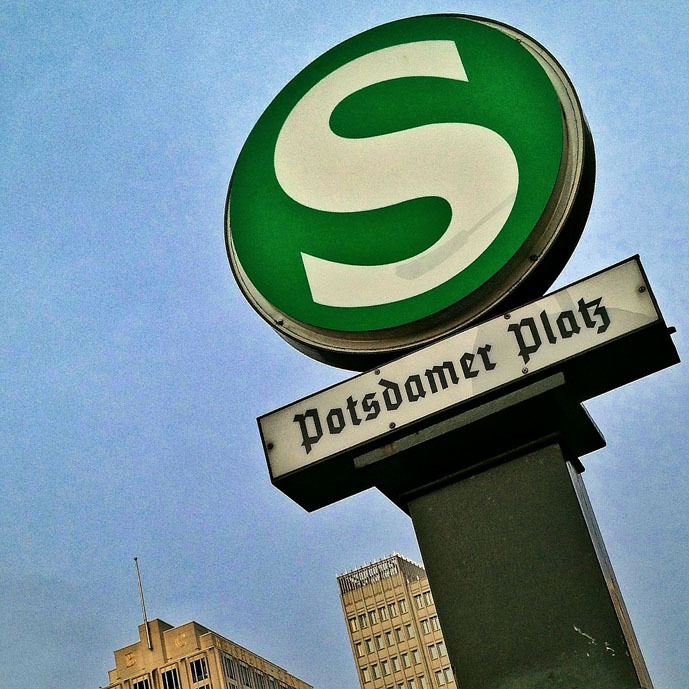 Other stops include Potsdam, Alexanderplatz, Zoologischer Garten, Ostbahnhof and Friedrichstrasse. Check the indicator boards at the station before boarding to see if your chosen station is covered. If you do decide to take the S-Bahn, services depart roughly every 10 minutes on two lines and can take up to an hour to reach the city centre and may include you having to change to another line. Both Regional trains and S-Bahn have the same ticketing system with tickets costing €3.20 for a one way adult fare from Zone C, where Schonefeld is located, to Zone 1, the city centre. Taxis are available outside of Terminal A/B and cost around €40.00 with a journey time to the city centre of up to 45 minutes depending on traffic. 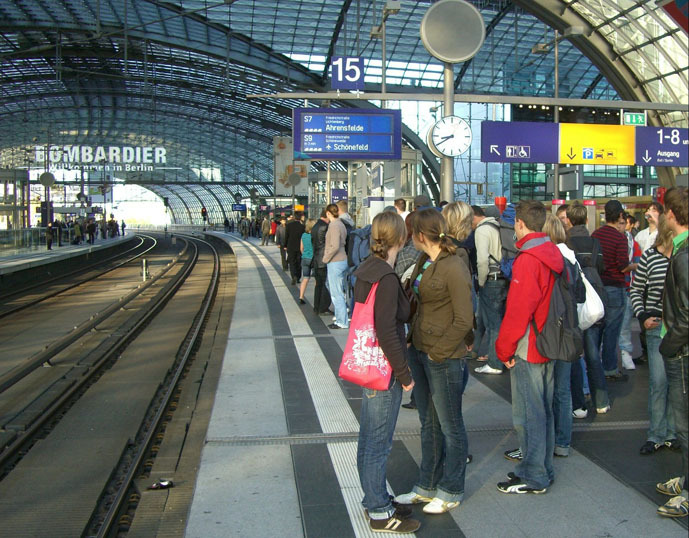 If you are travelling from within Europe, the UK or even Asia, is can sometimes be quicker, cheaper or more adventurous to take a train or bus to reach Berlin. The central bus terminal servicing Berlin is located in Charlottenburg, west of the city centre. Buses arrive and depart for over 350 destinations across Europe. The bus terminal is just a few minutes walk to U-Bahn stations Theodor-Heuss and Kaiserdamm and S-Bahn station Messe Nord. Berlin is serviced by international ICE, InterCity and EuroCity trains as well as local Deutsche Bahn services. Along with services within Germany and neighbouring countries, there are also long haul trains to cities in the Ukraine and Russia with connections onto Mongolia, China and Kazakhstan. The central train station in the city is Hauptbahnhof which is where you will likely arrive/depart from. 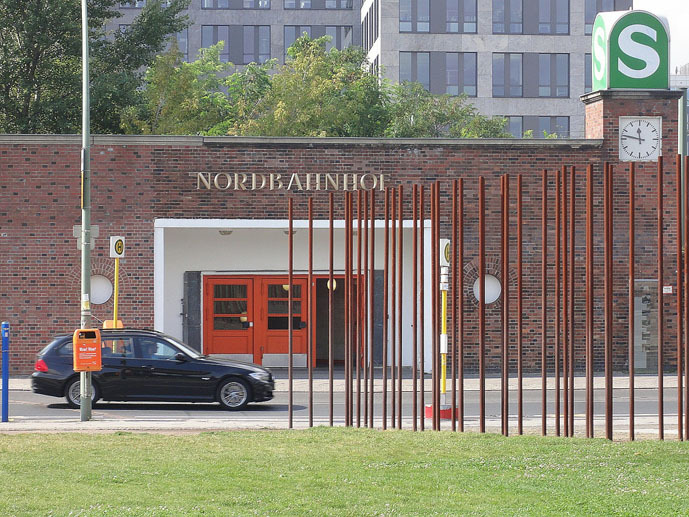 There are also two other stations, Ostbahnhof in the east of the city, and Sudkreuz in south of city, that might be more convenient for you depending on where you are staying. The Hauptbahnhof is located in a new state of the art glass building and is kind of like a small city inside a city. Every possible amenity you can think off is available at the station including visitor information and connections to numerous S-Bahn, U-Bahn and local bus services. Berlin’s public transport system consists of U-Bahn trains (underground), S-Bahn trains (overground), buses, trams and taxis. Below is a link to a good door to door transport planner that can assist you in planning your trip. 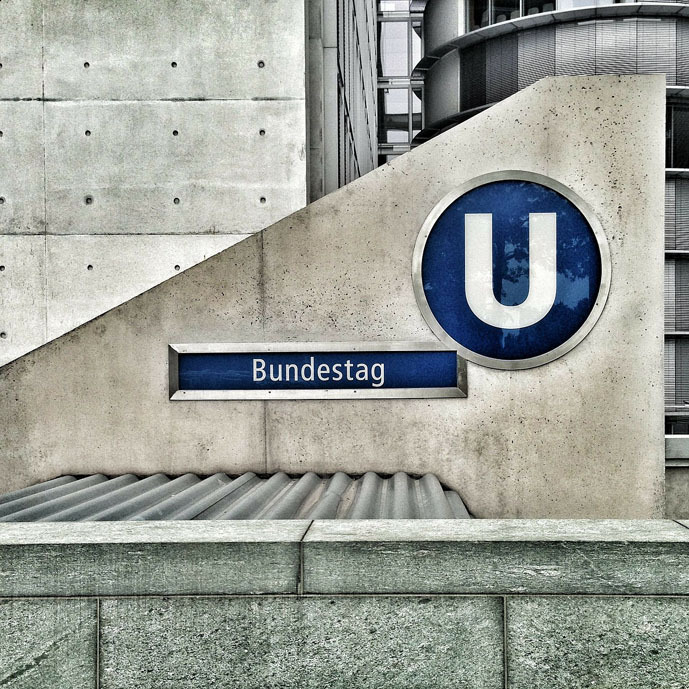 Zone A – Covers the city centre including Alexanderplatz, Charottenburg, Zoologischer Garten, Hauptbahnhof and Sudkreuz. Below is a a link to a good map of the zones including the U-Bahn, S-Bahn and regional train lines heading in and out of Berlin. There are also a number of tourist cards that you can purchase which include unlimited public transport for 2, 3 and 5 days and discounts or free entry to over 200 attractions. Prices for these start at €16.90 and go up to €40.50 depending on the number of days, zones and attractions. These tickets can be purchased at major train stations, visitor information officers and hotels across the city. 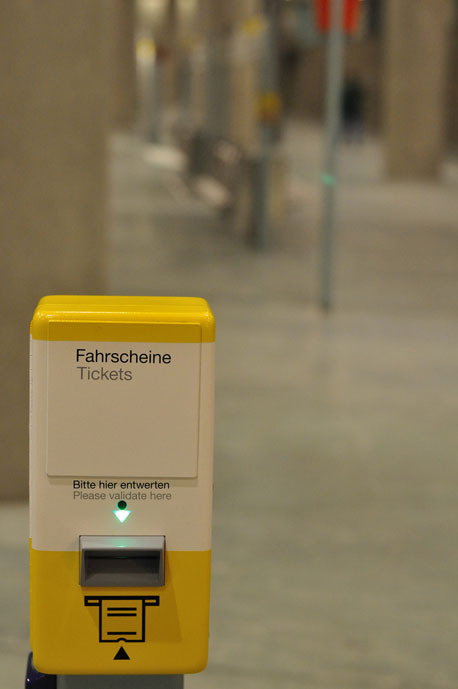 Tickets can be purchased from German, English and other European language vending machines on train station platforms and at some bus and tram stops using bank cards, coins and notes under €10.00. Some larger train stations have ticket windows where you can seek assistance from staff. Tickets can also be purchased on-board selected bus services and on all trams and don’t need to be validated. For trains, make sure you validate your ticket in the machines on the platform before boarding the train. This will stamp a date and time on your ticket so that any inspector wanting to see your ticket will know it is validated. 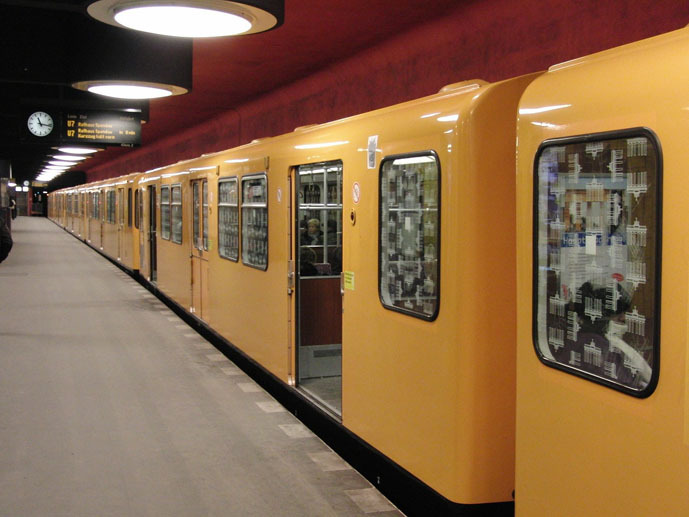 On U-Bahn stations the boxes are yellow and on S-Bahn stations they are red. For buses and trams the validation boxes are on-board near the entry and exit doors. Make sure you validate on entry. 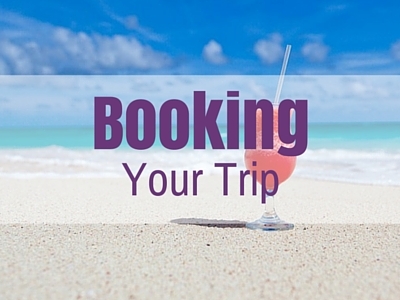 Tickets can also be purchased on-board some bus services and don’t need to be validated. The city’s public transport system works on a honor system with no ticket barriers. But don’t risk it as there are plain clothed inspectors who patrol all services give out fines of €40.00 to those who are caught without a validated ticket. Berlin’s public transport is theoretically simple to use but some people can be confused by the lack of directional signage in major stations. East to West – Running between Westkreuz station in the west and Ostkreuz station in the east, this route can be taken on lines S3, 5, 7 and 75. Use this line for services stopping near the Zoo, Alexanderplatz, Hauptbahnhof, Tiergarten, Charlottenburg Palace and Museum Island. North to South – There are two important lines running north to south, S1 between Oranienburg and Wannsee and S2 between Bernau and Blankenfelde. Use these lines for visiting Brandenburg Gate and Potsdamer Platz. Ringbahn – 37 km long, this route follows exactly as the name suggests, a ring around the city centre. The ring consists of lines S41 moving clockwise and S42 moving anticlockwise. S-Bahn platforms are all fitted with electronic signage showing the final destination of the next train and there are maps on the stations to help you figure out what line you need to take. When you disembark at your station there will be directional signage telling you where the nearest exit is and at some of the larger stations, a map showing multiple exits and where they will take you out. U2 – Cuts through the centre of the city making stops at Alexanderplatz, Postdamer Platz and Zoologischer Garten. It is one of the most convenient routes for visitors as it basically stops at, or close to, most of the major attractions in the city. U6 – An important line for interchanging as it runs north to south cutting right through the centre of the city stopping at Friedrichstrasse. 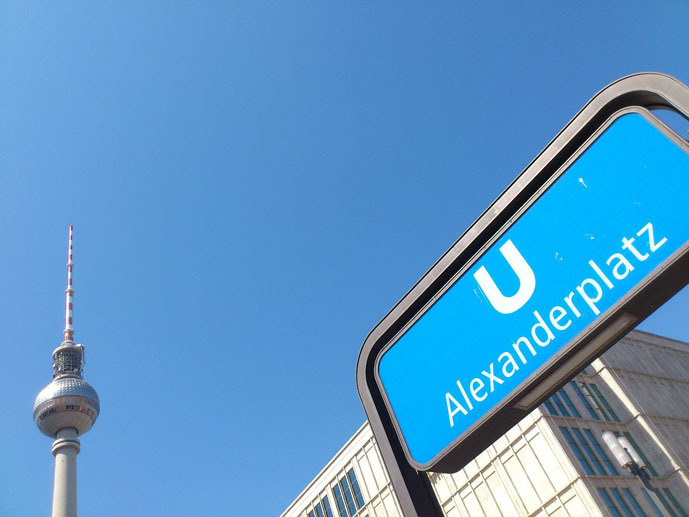 U9 – Running east to west through the centre of town, this line stops at Hauptbahnhof, Charlottenburg, Tiergarten and Alexanderplatz. Like the S-Bahn, the U-Bahn platforms are all fitted with electronic signage showing the final destination of the next train and there are maps on the stations to help you figure out what line you need to take. When you disembark at your station there will be directional signage telling you where the nearest exit is and at some of the larger stations, a map showing multiple exits and where they will take you out. While travelling on buses can be slow when there is traffic and lots of people getting on and off, if your not in a hurry it can be a really nice way to see parts of the city you would normally miss if you were travelling underground. This is made especially scenic in Berlin with their signature yellow double decker buses. The best line for visitors to the city is 100 or 200 line which runs from Zoologischer Garten station to Alexanderplatz passing by most of the historic sites and buildings of Berlin. Grab a seat upstairs for the best view and enjoy the journey. 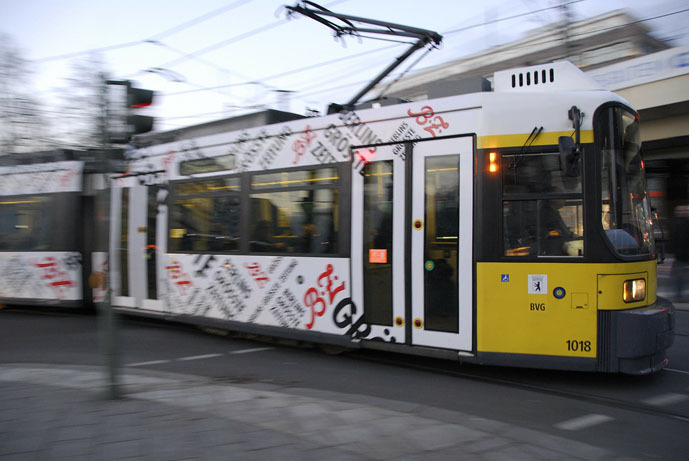 Most of the tram lines in Berlin can be found in the east of the city. If you do encounter a tram during your visit you will find they are clean and reasonably efficient ways to travel small distances. There are two types of trams, Metrotrams which run more frequently and at night, and ordinary trams which stop more frequently with some running along picturesque parts of the far east of the city. Surprisingly enough, a ride in a taxi in Berlin is cheaper than most other Central European cities but it can still be expensive. Taxis are generally clean, safe and metered and you will find that most drivers will speak a little English which always helps and makes for some interesting conversations. 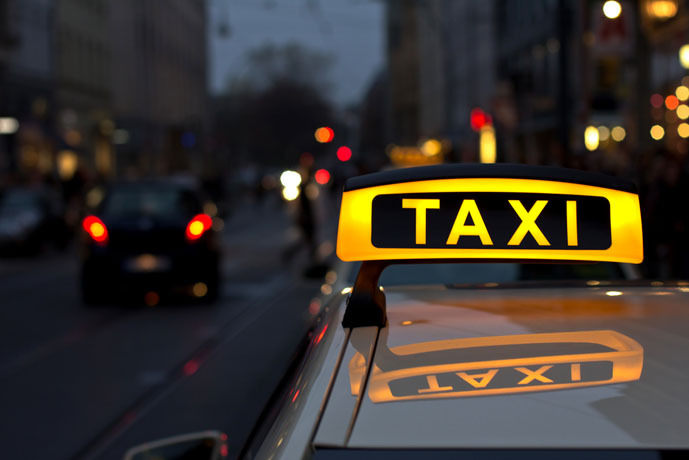 To hire a taxi you can hail one in the street by looking for the yellow light on the top of the taxi, find a taxi rank usually located near major train stations, hotels and tourist areas, or call a taxi from your hotel. If your only planning to travel a short distance of less than 2 km, you can tell the driving before the meter starts running and only pay around €4.00 for the journey. This only applies to taxis hailed from the street. 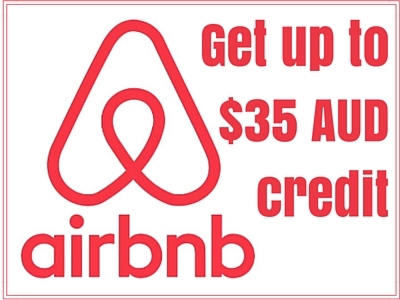 The standard minimum charge for a taxi is €3.20 with every kilometre changed at €1.65. For example a 12 minute taxi ride from Hauptbahnhof to Alexanderplatz will cost you around €10.00. Berlin’s public transport system is probably one of the safest in the world but that doesn’t mean you should relax too much and let your guard down. Petty crime like pickpocking can happen anywhere in the world and public transport is like a magnet for offenders. Keep your personal belongings close the front of your body at all times especially when travelling in crowded carriages and down escalators. There are emergency telephones located on the train station platforms that you can use to call for help should you be in any type of danger or distress. And at night, try to always travel in the car nearest the operator especially if you are travelling alone. Thanks for reading and we hope you enjoyed this Getting Around Guide. Very nicely done! I visited Berlin for the first time earlier this year and one thing I loved most was the public transit system. We found it very easy to use, safe, and even pleasant (all with a 5-year-old in tow). Can’t wait to go back!